Senior League 2 3/4 The 2016 RIP IT Element One is a single piece alloy bat (ONE) made from RIP-IT’s propriety alloy blend (called A4). The BBCOR version has a flared grip/knob while the Senior Barrel versions have no flare, but, compared to other bats in its class, the grip/handle feels and measures out generally larger. The barrel size is what competitive sales reps would claim the RIP-IT lacks. From a pure measurement standpoint it’s hard to disagree. But RIP-IT bats has always been committed to making a baseball that looks and feels like a baseball bat—not a boat oar. As such, those who want their baseball bat to perform and feel like a baseball bat will be right at home with the RIP-IT Element One. RIP-IT bats has a serious, committed following. Look no further than their Instagram, Twitter and Facebook pages. However, rather surprising to some, many have never heard of them. RIP-IT dominates in certain parts of the country and in others, we’ve learned, many only know them for their softball helmets. Despite the public’s lack of awareness, for several years now, RIP-IT has pushed the forefront of baseball bat production design. Earlier this year they released the first bat to be pressurized with a gas. Just a few weeks ago they announced the production of the world’s first Smart Bat. 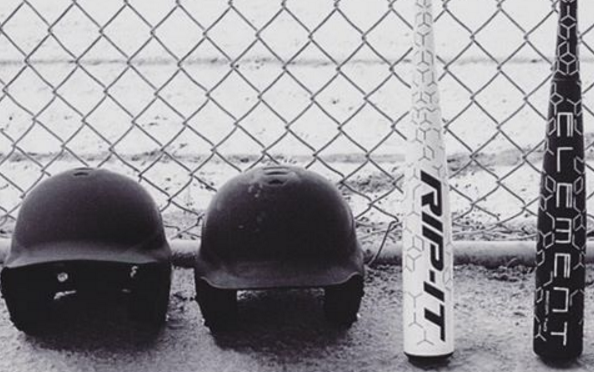 Last year the RIP-IT Air bats were well received and well reviewed among players at all levels of baseball. They’ve also made a name for themselves in terms of making a bat that feels like a bat. They are not particularly interested in making a bat with a barrel larger than last year’s version or a swing weight as light as an empty wrapping paper tube. They are committed, and so far the market has proved it needs something like this, to a bat that feels like a traditional bat—with a good weight distribution and show stopping power when hit correctly. Said differently, RIP-IT bats don’t generally do a great job of covering up for poor hitting, but instead, they accentuate a good hitter’s ability to make legit contact and transfer a remarkable amount of power to the baseball. There are hoards of single piece aluminum baseball bats on the market. For example, the vast majority of Walmart based bats have that same design. In the performance space (with 400+ day warranties), however, there are not very many. The most similarly designed bat in the 2016 season would be, arguably, Louisville Slugger’s 516 Omaha. Another single piece worth considering is DeMarini’s Insane. From a pure single piece aluminum standpoint, in the Senior League space, you’ll find a lighter swing weight with the One. The 515, on the other hand, will give you a bit more barrel. We’d only find a few instances where the 515 would be the better choice when compared to the Senior League One. In BBCOR, a single piece alloy with an end loaded swing weight is a bit more rare. The 515 Omaha BBCOR attempts a balanced swing, so isn’t a good comparison. 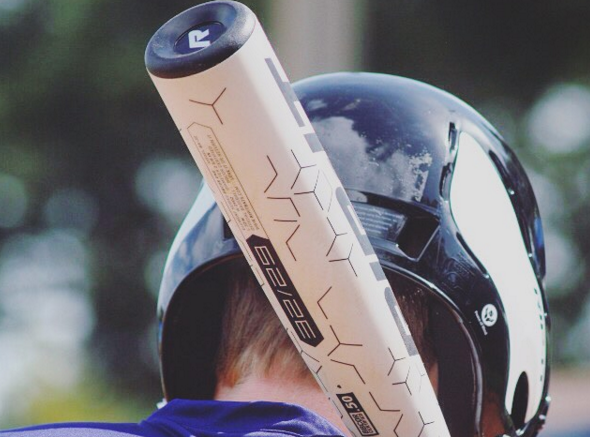 DeMarini’s Insane BBCOR also lacks the swing weight. You can find a single piece aluminum end load in the 2016 Easton Z-Core XL. Both bats resemble an aluminum log. Pound for dollar, the Senior League versions of the RIP-IT Element One bat are hard to be beat this year. Those bats, with a 400 day warranty, new in wrapper are listing at $99 which, if you’ve been paying attention to this space, is a phenomenal deal. Having the gumption to actually lower the price on your senior league bats is worthy a few stars in our books. The BBCOR One prices out at $249 retail, which is competitive if not high for a single piece aluminum bat. Most, for this type of technology, price in the $199 range although there are a few in the $249 world too. In terms of performance, we’d suggest the RIP-IT Element One is designed perfectly for those looking for a no frills bat that can hit the ball well and who believe the trick of good hitting has way more to do with the player than it does the bat.